Opening few leaves worn and neatly repaired at margins, some dampstaining. Modern boards. Sm. folio. Darlow & Moule 5592. 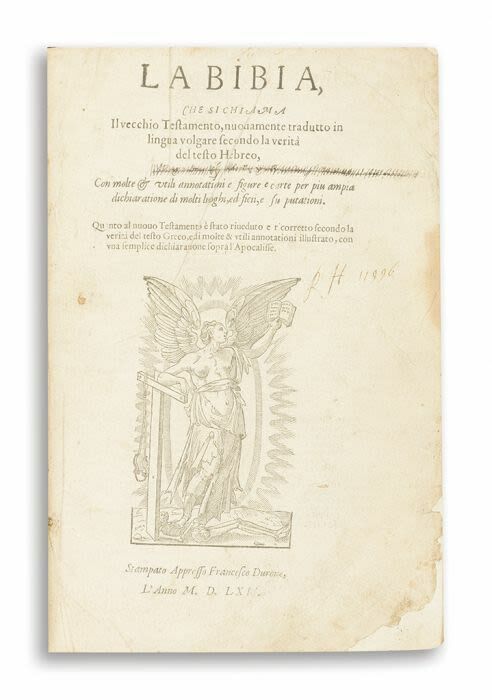 A revised and corrected edition of Brucioli’s version, intended for the use of Protestant refugees in Geneva and meant to be spirited into Italy for crypto-Protestants.